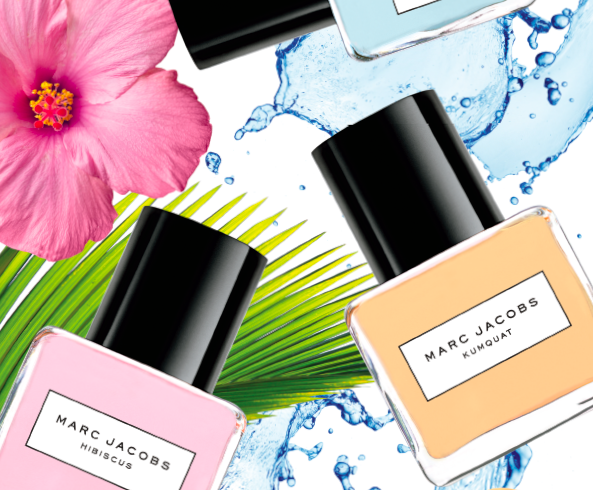 Marc Jacobs Makes A Big SPLASH With A Trio Of New Summer Scents: THE SPLASH TROPICAL COLLECTION! 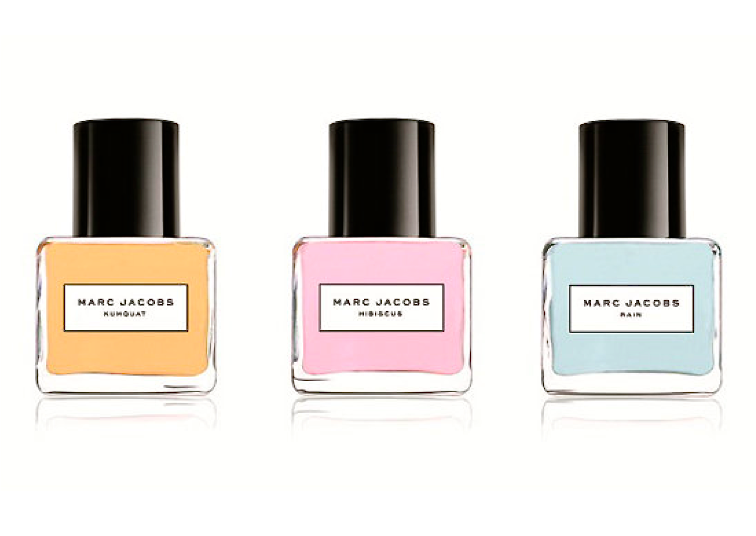 MARC JACOBS DEBUTS A NEW TRIO OF SPLASH SCENTS: THE SPLASH TROPICAL COLLECTION LOOKS AS GOOD AS IT SMELLS! Who doesn’t love the smell of’ summer Rain? 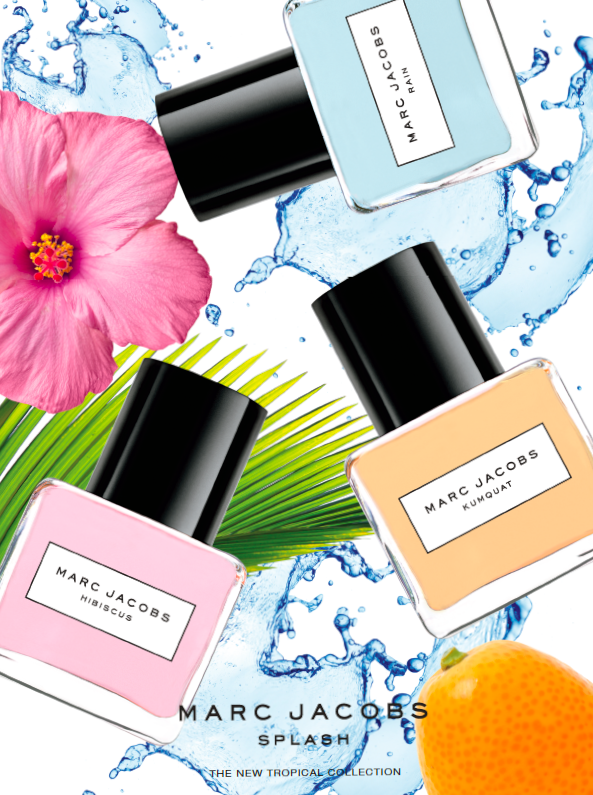 Dive into three new cool concoctions with the debut of juicy Kumquat, subtle Hibiscus, and clean Rain with Marc Jacobs New Splash Tropical Collection. Packaged elegantly in simple, clear colorful glass cubes, the trio will be perfect to display on your Hamptons vanity. Leave it to MJ to also design gorgeous boxes for the bottles, in bright, tropical pops of blue, orange, and pink~ perfect for storing hair bands or cotton balls. The scents themselves are delightful independently – or you can layer them on as the day unfolds! Perfumer Laurent Leguernec’s Rain, which is back by popular demand, is a watery floral that evokes a cool, refreshing summer shower. So lush and pure, the fragrance opens with the freshness of wet grass and sparkling notes of wild strawberry and clementine zest, and then coupled with a lush blend of tropical rain accord, passion flower and white orchid. The base features beech amber, tree moss, and musks. Perfumer RICHARD HERPIN, the nose behind Kumquat and Hibiscus, bottles summer with his scents. A zesty citrus floral, Kumquat is a fizzy and refreshing sensation! The fragrance opens with top notes of tangerine pulp, bergamot, and orange zest. A hint of sun-drenched kumquat, jasmine petals and tiger orchids round out the cocktail. The base leaves a musky scent of sun-drenched woods and blond cedarwood. Hibiscus is a sultry fruity floral, according to Herpin, and rounds out the tropical trio with it’s lush petals of exotic blooms. Smiling, sensual and elegant, Hibiscus opens with exotic hints of raspberry, juicy mandarin and pink peony. The middle is playful and bright, featuring Hibiscus flower, Tiare and pink freesia. An earthy blend of luxurious musks, exotic woods and vetiver are the base of this divine concoction.